Head, Department of Humanities and Social Sciences, Nov. 2004 – Feb.2011. Head, Centre for Sustainable Development, IIT Madras, 2002-04. Coordinator, Development Studies Group, IIT Madras, 2002 –2006. Professor in Charge, Lemelson-Recognition and Mentoring Programme, 2004-06. M.A (Honours) Economics, Birla Institute of Technology and Science, Pilani (India), 1981. Ph.D. (Healthcare Economics), Indian Institute of Technology, Madras (India) 1988. Post-Doctoral Research, Takemi Fellow in International Health, Harvard School of Public Health, Boston (USA), 1995-96. Rockefeller Foundation Research Fellowship in History of Malaria, Rockefeller Archive Center (New York) May-June 1999. South Asia Visiting Scholar, Center for International Development, Queen Elizabeth House, University of Oxford, May-July 2000. Carried out research studies for the State Govt of Tamil Nadu, Chattisgarh, Govt. of India, Health and Family Welfare Dept., USAID (Delhi), DFID (UK), WHO (Delhi), Rockefeller Foundation (New York), and Wellcome Trust (UK). Bennett S, Mills A and Russell S with Attanayake N, Hongoro C, Muraleedharan VR, and Smithson P. The challenge of health sector reform: what should governments do? (Macmillan Press, London, 2001). Muraleedharan VR, “Rural health care in Madras Presidency: 1919-39”, Indian Economic Social History Review. 1987; 24: 323-334. Muraleedharan VR, “Professionalising Medical Practice in Colonial South India”, Economic and Political Weekly, Vol 27 (4) 1992. Muraleedharan VR, Veeraraghavan D. “Anti-malarial policy in the Madras Presidency: an overview of the early decades of the twentieth century” Medical History 1992;36 (3):290-305. Muraleedharan VR”When is access to health care equal?” Economic and Political weekly, Vol 28 (Jan 1993). Muraleedharan VR, “Diet, Disease and Death in Colonial South India”, Economic and Political Weekly Vol 29 (1) 1994. V Sudhir, VR Muraleedharan and G Srinivasan “Integrated Solid Waste Management in Urban India: a critical operational framework” Socio-Economic Planning Sciences Vol 30 (3) 1996. V Sudhir, VR Muraleedharan and G Srinivasan Planning for sustainable solid waste management in urban India, Systems Dynamic Review, Vol 13(3) 1998. Muraleedharan V R “Technology and Costs of Medical Care: some emerging issues in India” in Barbra Harriss-White and S Subramanian (eds.) Ill-fare in India: essays on social sector in honor of S.Guhan (Sage University, New Delhi, 1999). Muraleedharan V R and Sara Bennett, “New Public Management and health care in the third world”, Economic and Political Weekly, vol. 35 no.1&2, Jan 8-14, 2000. Muraleedharan V R “Quinine and the incurable malaria: India in 1930s” Parassitologia, 42 (1-2) June 2000). Muraleedharan, VR “Cinchona Policy in British India: the critical early years”, in Amiya K Bagchi and Krishna Soman (eds) Maladies, Preventives and Curatives: Debates in Public Health in India (Tulika Books, 2005). Muraleedharan, V R, Stephen Jan and Ram Prasad “The human organ trade in Tamil Nadu: a case of regulatory failure” Health Economics, Policy and Law Vol 1 No 1 (2006). Grace. A Chitra, V.R. Muraleedharan,. Swaminathan & D. Veeraraghavan. “Use of pesticides & its impact on human health: a case of farmers in South India” 2006. International Journal of Occupational and Environmental Health, April 2006. Umakant Dash, SD Vaishanvi, VR Muraleedharan and Debashsis Acharya, “Benchmarking the performance of public hospitals in Tamil Nadu: an application of data envelopment analysis”, Jl of Health Management, 9 (1) 2007. Nalin Kumar C and Muraleedharan VR “Sanitary and Phytosanitary Regulations and Competitiveness: an analysis of Indian spice exports” South Asia Economic Journal Vol 8 (2) 2007. Nalin Kumar and VR Muraleedharan, “International market access and Sanitary and Phytosanitary (SPS) regulations: an analysis of trade and competitiveness effects”, International Jl of Applied Business and Economics Research, 5(1) 2007. Umakant Dash, VR Muraleedharan and SD Vaishnavi, “Technical efficiency in the use of health care resources: a case study of Tamil Nadu” Indian Economic Review, vol 43 (1) 2008. Muraleedharan VR, Sonia Andrews, Bhuvaneswari R and Stephan Jan, “Private Public Participation in the Control of Tuberculosis in Tamil Nadu and Kerala”, in KV Ramani, Dileep Mavalankar and Dipti Govil (eds). Strategic Issues and Challenges in Health Management, (Sage Publications, and IIM A, New Delhi, 2008). David H Peters and VR Muraleedharan, “Regulating India’s Health Services: To what end? and To what future” Social Science and Medicine (Special Issue on Future of Health Services), March/April 2008. Umakant Dash, SD Vaishnavi and VR Muraleedharan “Technical Efficiency and Scale Efficiency of District Hospitals: A Case Study”, Journal of Health Management, 12, 3 (2010): 231-248. John P, VR Muraleedharan, T J Kamalanabhan and RD Thulsiraj, “Measuring determinants of employee satisfaction in an Eye Hospital: a study in India”, International Journal of Enterprise Network Management 4(3), 2011. K. Ganesh, S. Ganesh, T.T. Narendran, V.R. Muraleedharan “Drug inventory management at public healthcare institutions – a case study” Int. J. of Logistics Economics and Globalisation, 3 (2/3) 2011. Muraleedharan VR, Umakant Dash and Lucy Gilson, “The Success Story of Tamil Nadu: 1970s-2005”, in Dina Balabanova, Martin McKee and Anne Mills (2011), Good Health at Low Cost, 25 Years On: What makes a successful health system? (London, 2011). S Rajasulochana, Umakant Dash and VR Muraleedharan, “Technical Efficiency and Scale Efficiency of Comprehensive Emergency Obstetric and New Born Care Centres in Tamil Nadu”, Artha Vijnana, LIII (4) Dec.2011. Balabanova, Dina et al (co-authored by Muraleedharan), “Good health at low cost 25 years on: lessons for the future of health systems strengthening”, The Lancet (April 8, 2013). Sundararaman T et al (co-authored by Muraleedharan), “Measuring Progress towards Universal Health Coverage: an approach in the Indian context”, Economic and Political Weekly, Vol. XLIX, No.47 (Nov.22, 2014) (Classified as Special Article). Sundararaman T, V R Muraleedharan, and Indranil Mukhopadhyay, “NSSO 71st Round on Data on Health and Beyond: Questioning Frameworks of Analysis”, Economic and Political Weekly, Vol. LI (No.3)., January 2016. Sundararaman T., Indranil Mukhopadhyay, V R Muraleedharan, “No Respite for Public Health”, Economic and Political Weekly, Vol.LI (16), April 2016. Rajasulochana, S., Eric Nyarko, Umakant Dash, and V R Muraleedharan., “Expectant Mother’s Preferences for Services in Public Hospitals of Tamil Nadu, India”., Jl of Health Management, vol. 18 (2), June 2016. T.N Srinivasan, V R Muraleedharan and Bhanu Pratap, “Morbidity in India since 1944”, Indian Economic Review, October 2017. Muraleedharan, VR “Private Hospital Sector in Madras City: Some Preliminary Observations” (Takemi Fellow Working Paper, Harvard School of Public Health, Boston, Harvard University, 1996). Muraleedharan VR “Competition and Costs of Medical Care” (Takemi Fellow Working Paper, Harvard School of Public Health, Boston, Harvard University, 1996). Muraleedharan, V R and Sara Bennett, “Role of government in adjusting economies: a case study of reforms in Tamil Nadu health sector” (Research monograph, Health Economics and Financing Program, London School of Hygiene and Tropical Medicine, London, 1998). Muraleeedharan V R “Characteristics and Structure of Private Hospital Sector in Urban India: A Study of Madras City” (Small Applied Area Research 5, Partnership in Health Reform, Abt Associate Inc. Bethesda, MD, and USAID, March 1999). Muraleedharan V R “Availability, and Distribution of Medical, Dental, Nursing and Pharmaceutical Professionals in Tamil Nadu: a preliminary assessment (Phase I)” (research report submitted to The Tamil Nadu Dr.M.G.R.Medical University, May 1999). Muraleedharan V R “Private-public partnership in Health Sector in Tamil Nadu, Karnataka and Kerala”, submitted to the Ministry of Health and Family Welfare (GOI) and World Bank, May 2000. Muraleedharan V R “Public Healthcare System in Tamil Nadu: A critical overview of its strengths and weaknesses”, background paper prepared for the Commission on Macroeconomics and Health-India Project, ICRIER, New Delhi, April 2001. Muraleedharan V R “Tamil Nadu’s Health Sector: a review of its achievements and challenges” (Submitted to Union Planning Commission, New Delhi, July 2002). Muraleedharan V R, C.Sambu Prasad, G. Swaminathan, A Kavitha, G Koteswara Rao and D.Veeraraghavana, “Citizen Action, Water Pollution and Public Health: an analysis of administrative and implementation dimensions” (Submitted to Water Resources Organisation, Chennai, September 2002). Muraleedharan V R, Preeti Kudesia and Maj-Lis Vass “Public Private Cooperation for Health in India: A Framework for Dialogue” (International Health Summit, November 2002). Girija Sankaranarayanan and V R Muraleedharan, HIV/AIDS, Youth and NGOs in Tamil Nadu: An Overview”, (Submitted to UNAIDS, Geneva, February 2003). Muraleedharan VR. Private Health Care Sector in India–Policy Challenges and Options for Partnership. In: Yazbeck A, Peters D, editors. Health Policy Research in South Asia: Building Capacity for Reform. Washington, D.C.: The World Bank, 2003. pp. 229-55. Muraleedharan V R and Ram Prasad “Regulation of Healthcare sector in Tamil Nadu: the case of Consumer Protection Act 1986, and Human Organ Transplantation Act 1994” (September 2003). Muraleedharan V R “Informal healthcare providers in Tamil Nadu: A preliminary study of their characteristics and potential for participation in public health system” (Submitted to DANIDA, Chennai, November 2003). Muraleedharan, V R, Sonia Andrew, Bhuvaneswari R and Stephen Jan “Role of Non-Governmental Organisations and Private Providers in the Revised National Tuberculosis Control Programme: a study on the implementation of private-public strategy in Tamil Nadu and Kerala (India)” (Submitted to the London School of Hygiene and Tropical Medicine, London, April 2005). BM Prasad and VR Muraleedharan, “Community health workers: a review of concepts, practice and policy concerns” (Working Paper, Consortium of Research on Equity in Health Systems, London, March 2008). Umakant Dash, Debashis Acharya, V R Muraleedharan, Girija Vaidyanathan, “An Analysis of Efficiency of District Public Health Care System in Tamil Nadu and Orissa” (Submitted to the World Bank, New Delhi, April 2008). Umakant Dash, V. R. Muraleedharan, B. M. Prasad, D. Acharya, S. Dash, S. Lakshminarasimhan, “Access to health services in under privileged areas, A case study of Mobile Health Units in Tamil Nadu and Orissa”, (Submitted to DFID, UK, and Consortium of Researhc in Equity in Health Systems, London, October 2008). VR Muraleedharan “Malaria and the Rockefeller Foundation in South India: 1936-41” (Upendranath Brahmachari memorial lecture at Burdwan University, December 2008). Debashis Acharya, Girija Vaidyanathan, VR Muraleedharan, Upandand Pani, Umakant Dash and Vaishnavi SD, Do the Poor Benefit from Public Spending on Healthcare in India: Results from Benefit Incidence Analysis in Tamilnadu and Orissa (Submitted to DFID, UK, July 2009). Umakant Dash and VR Muraleedharan, How Equitable is Employees’ State Insurance Scheme in India? : A Case Study of Tamil Nadu (submitted to DFID, UK, September 2009). Muraleedharan VR, et al, Private-Public Partnership in Health Sector : Opportunities and Challenges (submitted to USAID India, November 2011). 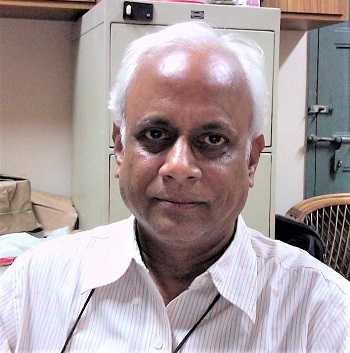 Rakhal Gaitonde and VR Muraleedharan, “Economic Evaluation of Public Health Interventions: Some reflections in the context of prioritizing vaccines in India”., MFC Bulletin, vol. 371-272 (June-Nov. 2016). Served as a Member of the Mission Steering Group of the National Rural Health Mission (Govt. of India), 2008-13. This is the highest decision making body (equivalent to Cabinet Committee) governing the implementation of NRHM. Served as a member sub-groups on Health, Planning Commission of India, during the preparation of 11th and 12th Five Year Plans. Member of the Ford Foundation (India) project on “Ethics in Social Sciences Research in Health” (2002). The report on this subject is being used by several organisations in establishing their Research Ethics Committee. Currently, work with the National Health Mission, TN state, in implementing Universal Health Care in Tamil Nadu.